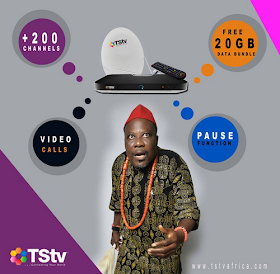 TSTV surfaced a few months ago and it was able to easily catch the attention of a lot of Nigerians due to its numerous mouth watering promises and offers it plans to deliver at the most unrealistic rate ever. A lot of Nigerians were excited about TSTV and anticipated it's nationwide rollout as they see it as an eligible competitor to Multi Choice that currently holds the satellite TV monopoly market while many others were skeptical due to what they call an unrealistic offer. At the end of the day TSTV failed us all as the sales of decoder didn't begin as promised and the all hype died down. Now TSTV has resurfaced again and promised Nigerians that the sales of decoder will begin next week after the successful completion of its test transmission promo decoders distributed before Nov 1. “We are almost done with our test transmission and we are just putting some finishing touches and hopefully by the grace of God, between now and next week the decoders will be out for sale. “We are informing Nigerians that they must enjoy their Christmas with their decoders. So before Christmas, the decoders will be everywhere in the market. Also keep in mind that the price of the decoder which is N5000 remains unchanged and all the features plus extra benefits TSTV promised during the lunch including the controversial bein channels will still be included. I guess all we can just do now is to wait until next week and just hope TSTV doesn't fail us once again.